We’re back with some treats just in time for Halloween! 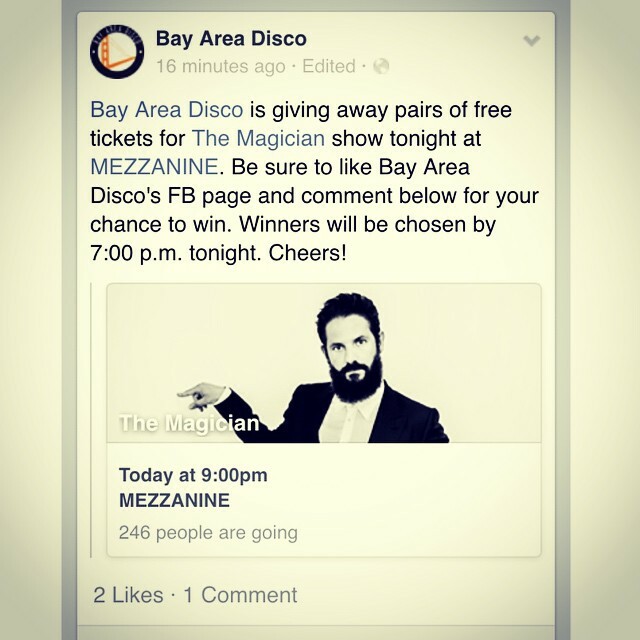 @bayareadisco is giving away pairs of free tickets for The Magician’s show tonight. Be sure to like our FB page & comment. Winner will be chosen by 7:00 p.m. tonight. Cheers!